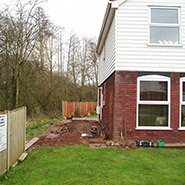 DAP completed this extension in August 2014, the ground floor area extended the existing kitchen and also made a new utility room and storage area. 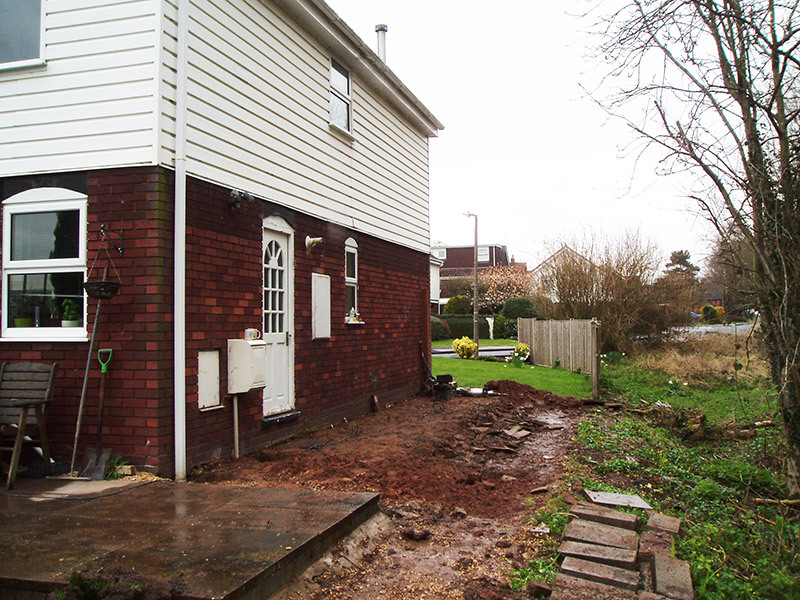 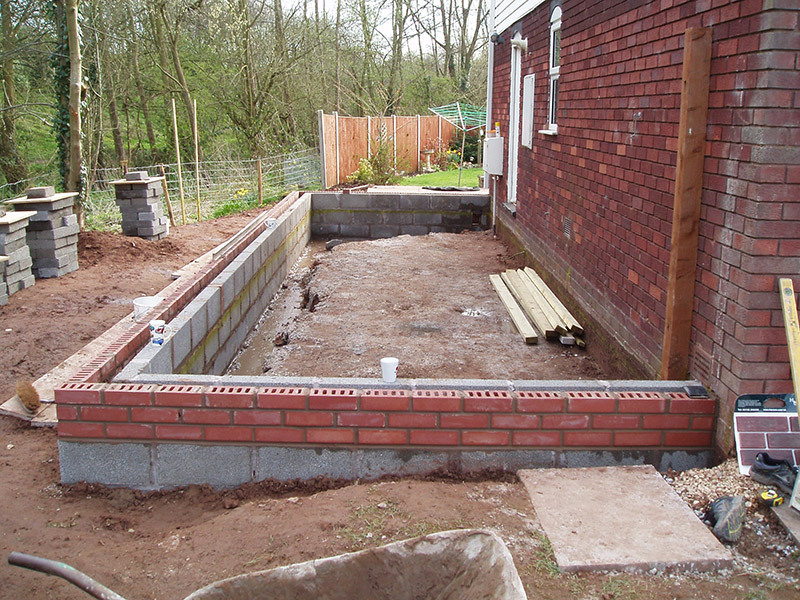 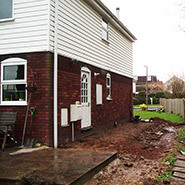 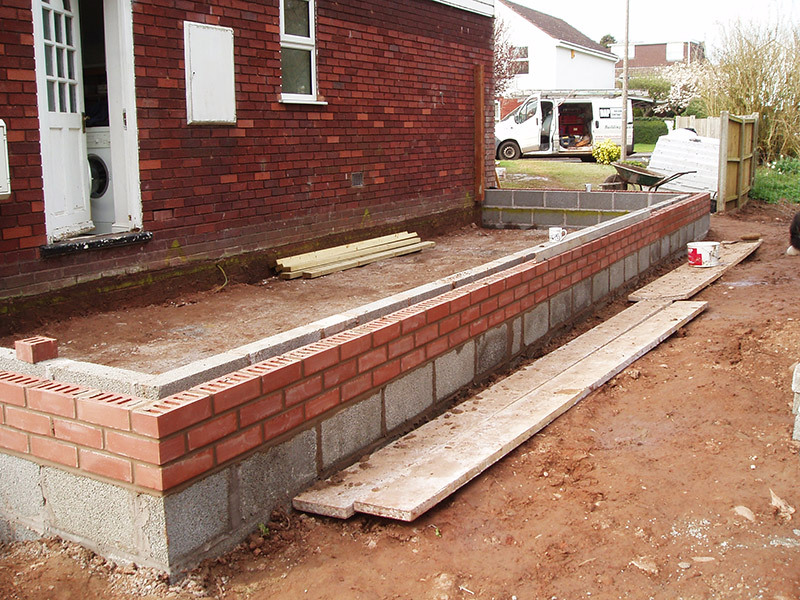 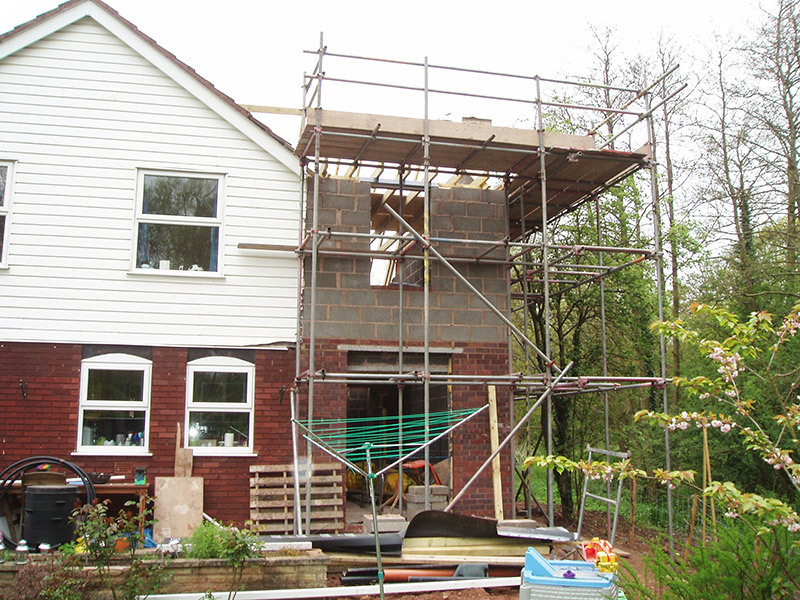 The existing first floor bathroom was removed to allow for a much larger landing area which followed through into the new extension. 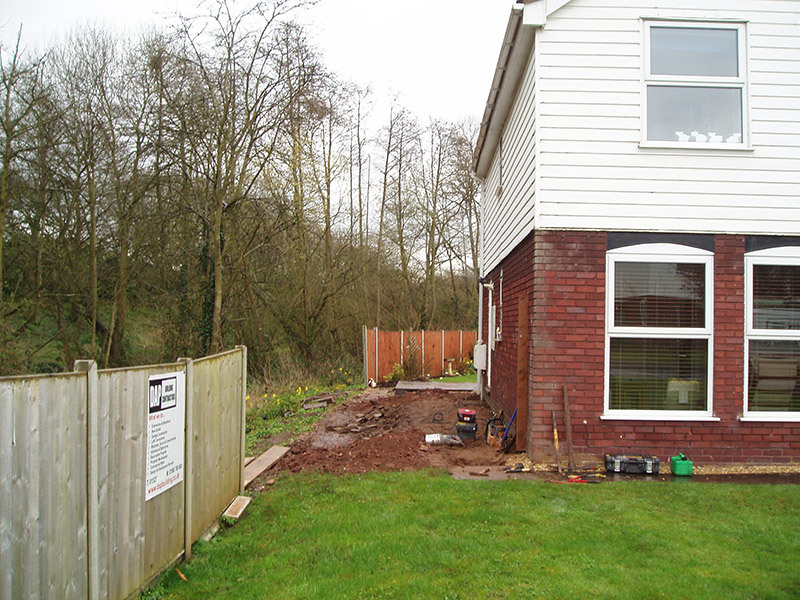 An additional bedroom and en-suite was added and a new family bathroom. 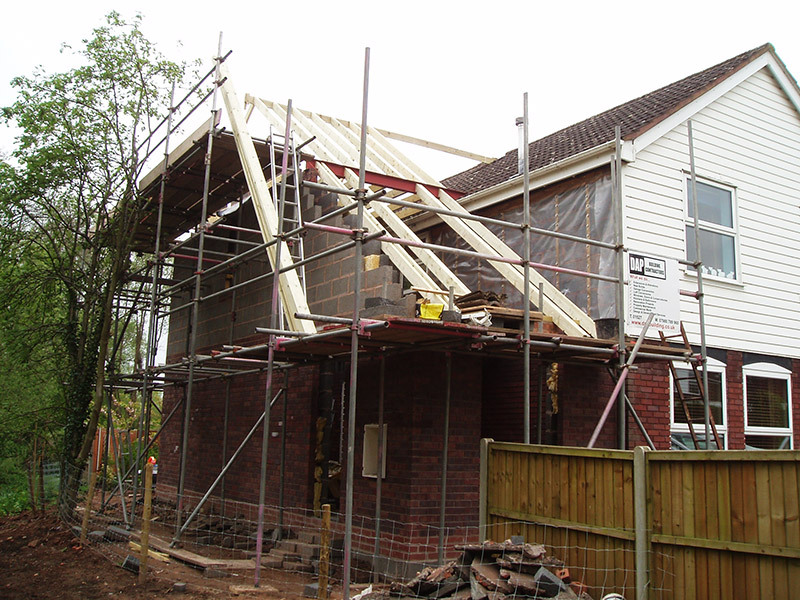 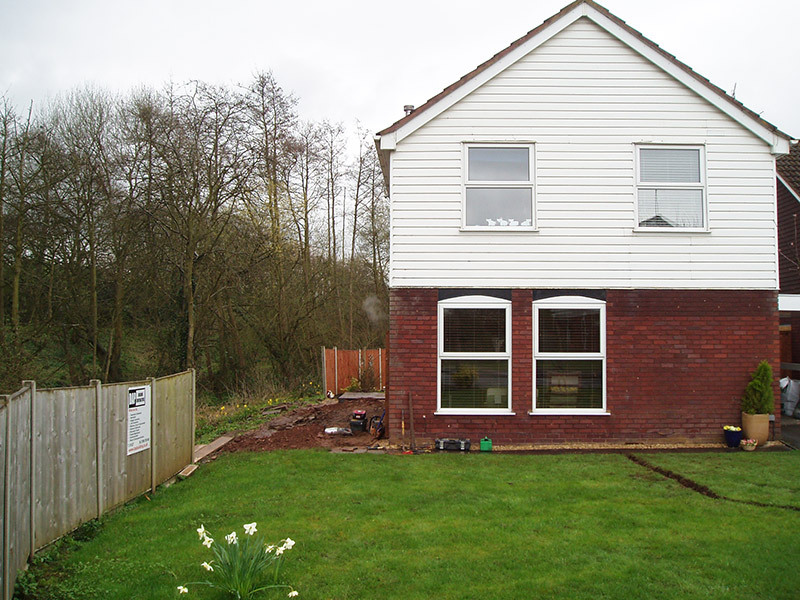 Ground floor brickwork and roof tiles were carefully selected to match the existing building. 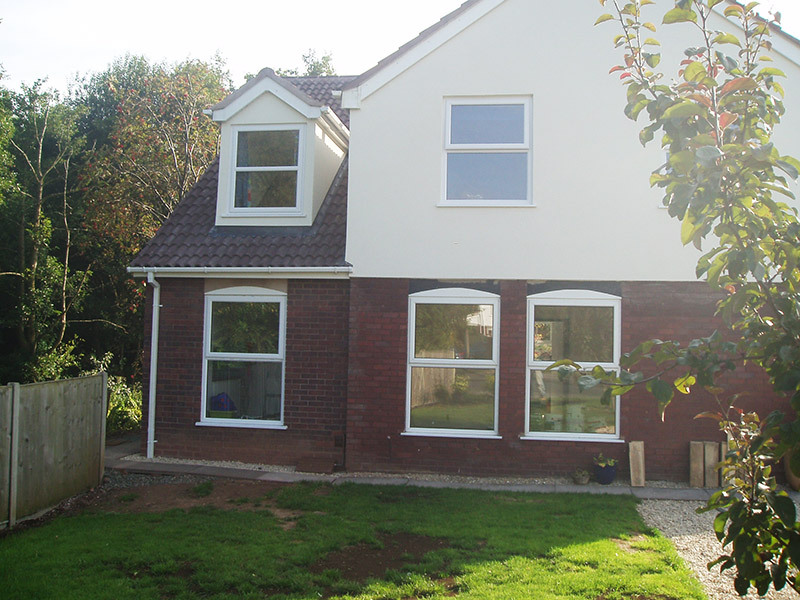 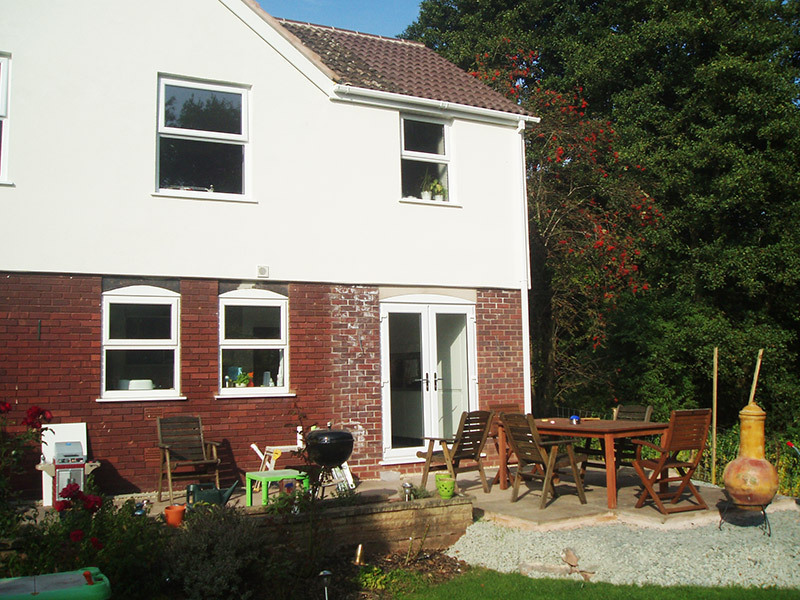 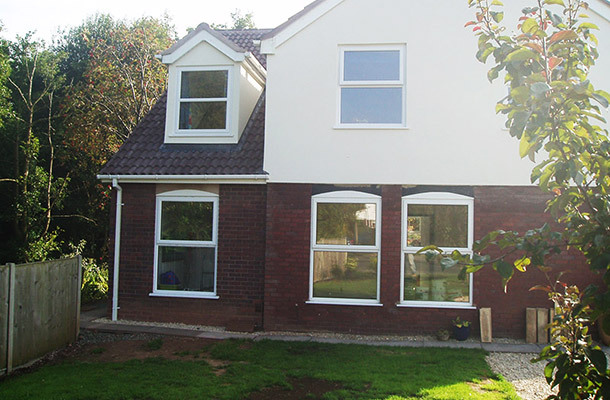 The old plastic cladding was removed, external insulation fitted and then rendered to finish.